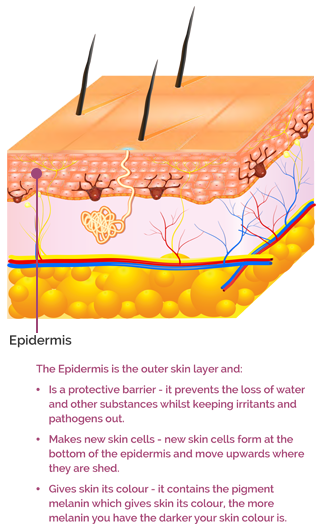 The epidermis is the outer skin layer and is a protective barrier that prevents the loss of water and other substances from the body whilst keeping irritants, allergens and pathogens out. 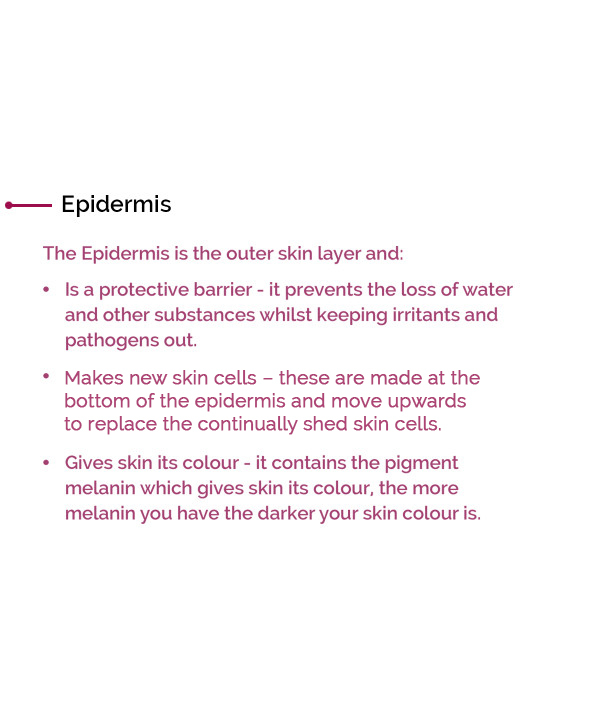 It also has many other roles including making new skin cells and contains the pigment melanin, which gives your skin its colour and protects you from UV radiation. 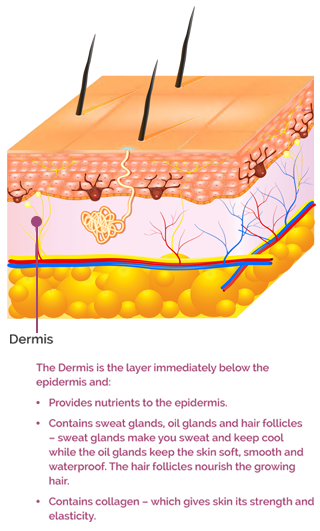 Just underneath the epidermis is the dermis which has many functions, these include making sweat (which helps to keep your body cool), growing hair, providing nutrients to the epidermis and making oil. 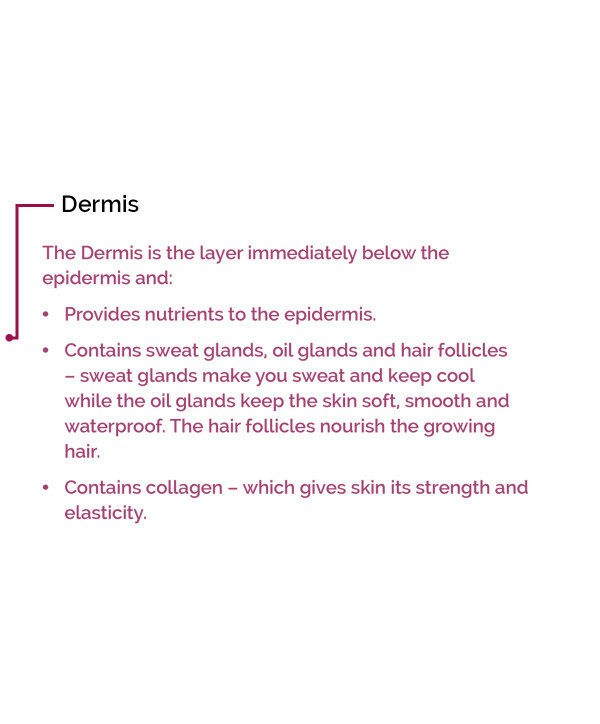 The dermis also contains the protein collagen which gives skin its strength and elasticity, whilst the oil, made by the sebaceous glands, keeps the skin soft, smooth and waterproof. 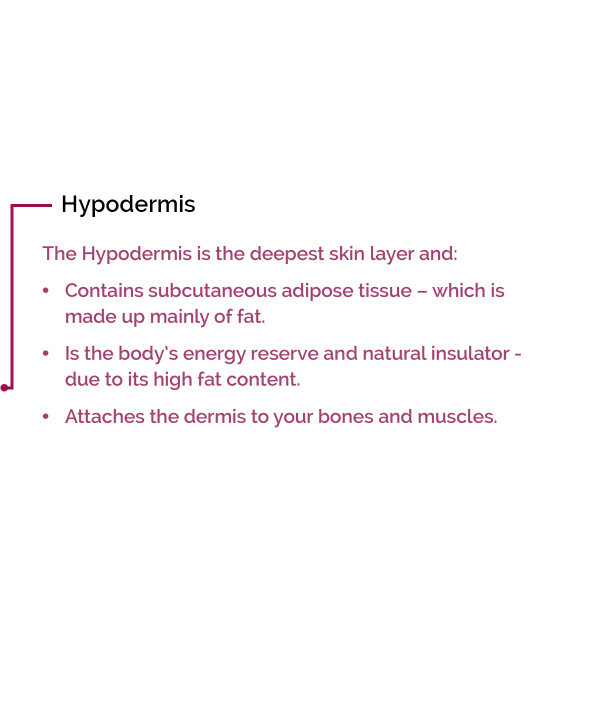 The deepest layer of skin is the hypodermis, also known as the subcutis or the subcutaneous layer and it attaches the dermis to your bones and muscles. The hypodermis consists of subcutaneous adipose tissue (made up mainly of fat) which insulates and protects the body as well as being its energy reserve. 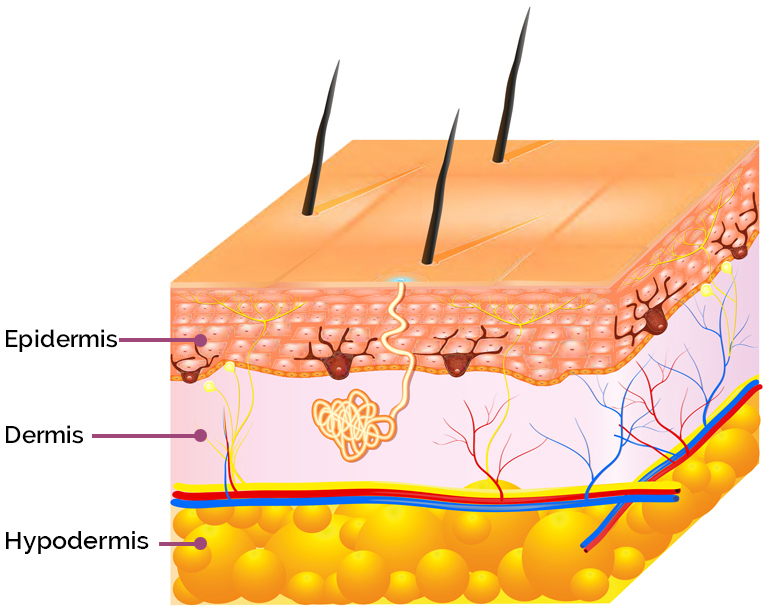 These three layers are shown in Fig. 1 along with some of their roles and functions.